Fingers crossed, tomorrow I will be moving our Commer lorry under its own power out of the shed. The restoration has taken 10 years and to finally get in this position has at times seemed so far off. So much work has been done, too much to list but its been chassis up, I have tought myself so many skills and have had so much help from my Father along the way. We have both enjoyed it at times and have been in despair at times. We have never had the lorry out the shed since it was just a bare chassis and basically scrap cab so the transformation will be huge. I will take some photos to show when it was bought and what its like now. Has anyone else got any long term restorations being finished this year or getting back on the road this year? Well done! Congratulations! Really keen to see the photos. I imagine you’ll be feeling very proud. Excellent news! Would be wonderful to have an extra Commer on the road again. Well done for reviving it. I have just more or less finished the work that was needed to get my Jensen on the road again. 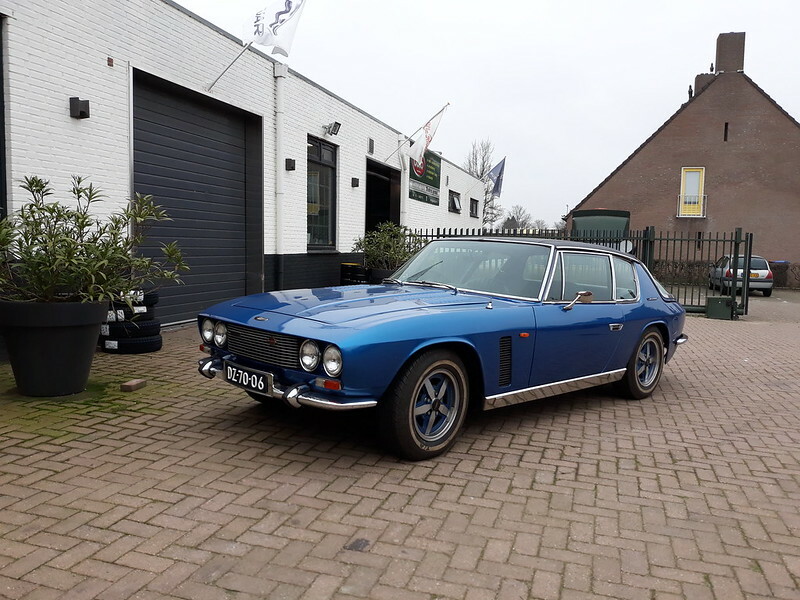 The previous owner did all the bodywork which meant new wings front and rear, valances and doors and painted it. While it looked pretty good I could see there is much to be desired in terms of even panel gaps. Small bubbles are appearing and sanding marks can be seen under the paint. It will have to do for now as I will not invest in a respray soon. 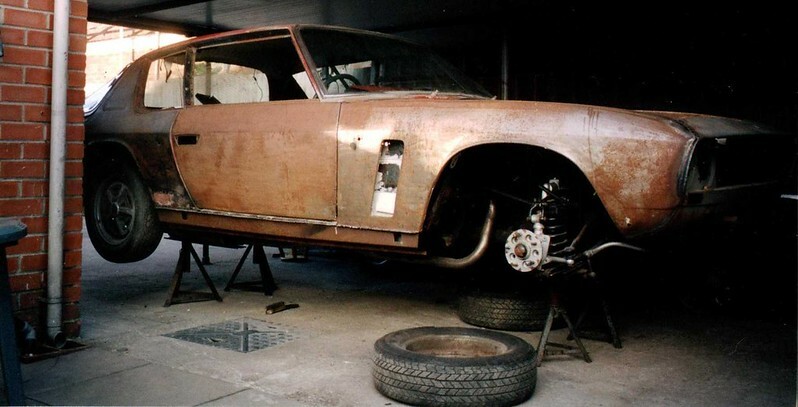 I have had the car for many years but other work always got in the way - building a new garage, other cars needing maintenance and restore work, etc. Mechanically and electrically almost nothing was done so I overhauled and repaired much. A lot of the interior needed work - re-glueing leather to back boards, carpet, etc. The seats are in still pretty good condition and only needed cleaning and a thorough feeding. A few weeks ago the car got tested and is now registered and insured. 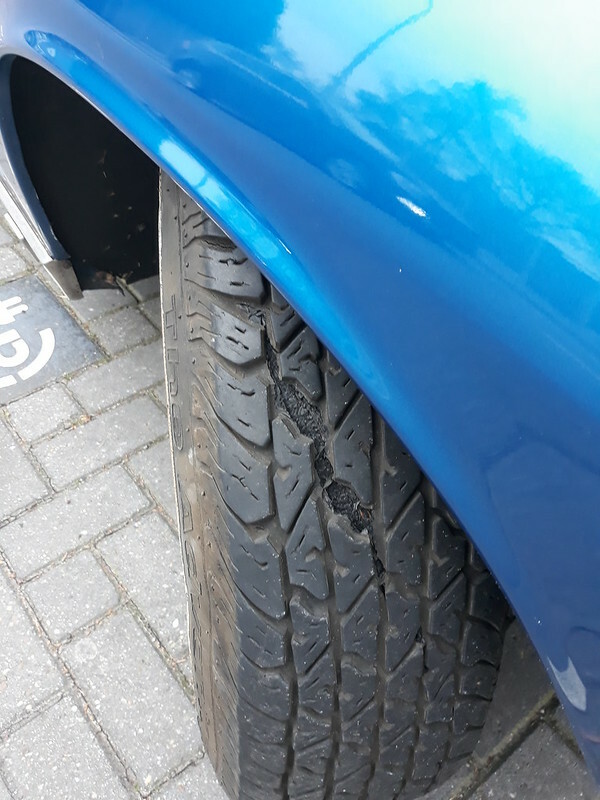 There is still lots that needs to be done - only yesterday I noticed one of the tyres got a big crack so all need replacing before I will drive it again. The interior door panels need to be reinstalled but before that I want to feed extra wires into the doors for the remote locking system that I installed. Boot carpet is needed, the tacho does not work and the brake servo stopped working two days ago. I will install a LPG system so am on the lookout for a suitable tank and other sundries needed. Feeling very good and excited at the moment, cant wait to get behind the wheel. Never thought it would take this long but then sometimes things are just like that. I have just seen your photos above come up on my Flickr feed! Look forward to seeing the photos, best put them into a new thread really so it'll be easier to find again in future. yes would be nice to see it, i like trucks as well as 50's fords! Is it this one which has a thread on the Lorries board? Yes, thats the one. Will be able to finally see it all together outside the shed. Congratulations to both Roots 75 and Badhuis on a job well done. It really helps inspire the rest of us knowing that one day, we might just come out of the tunnel..
Got the lorry out of the shed under her own power. Found a few problems that need sorting though. She boiled up after a while so something is wrong there and also under a lot of revs she starts missing, that we think has something to do with a hiss we can here coming from the hydrovac. As you can all understand, we are buzzing at even getting this far. I will add some photos to the feed in the commercials section. Superb! Look forward to the pics. Hoping I can get my Healey back on the road this year. The engine, gearbox and diff are ready to go back in after it comes off the rotisserie. Rear shroud is almost ready for epoxy primer and the front not far behind. I would post a couple of photos but can't work out how to from my ipad. Welcome to the forum. Easiest is to sign up with imgur.com, upload the pics, then use the links it gives you within a post here. Well I've signed up with imgur and have uploaded a couple of photos to them but can't see how to get from that to here. I do not love computers.